Burglars broke into the home of a man who recently died of cancer and stole furniture, a music system and DVDs. 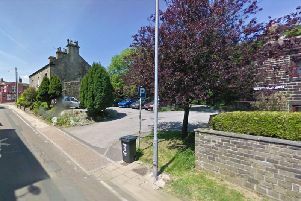 The incident happened at the home of Derek Horsfield, on Woodbrook Road, Mixenden, on Tuesday, August 4 - just a few weeks after he died. The burglars also damaged the property and an ornamental cannonball was thrown the living room window. Det Con Lee Mason, of Calderdale CID, said: “This burglary has caused considerable distress to Derek’s family who while grieving for him are now also having to deal with the loss of his property and damage to his possessions. “We are keen to hear from anyone who has heard anything about this crime and the persons responsible. They have stolen a large amount of items and it is possible that people may have seen these being loaded in to a vehicle and at the time thought it was being done legitimately.